Even more perfect for FPV head tracking, robotics, movement control and why not video games. 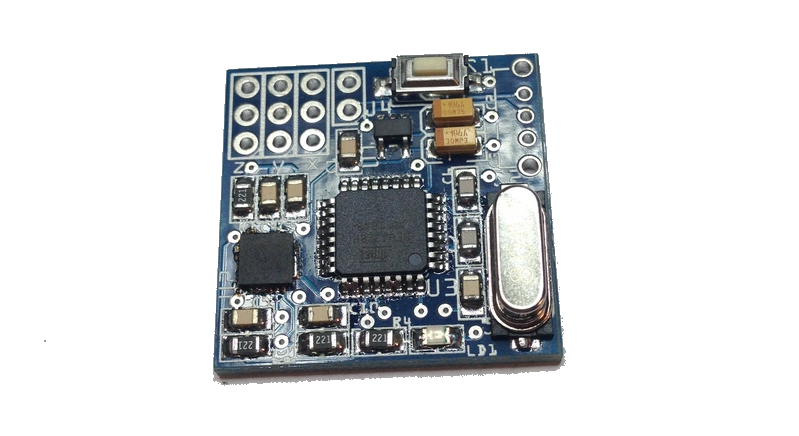 Based on ATmega328P microcontroller, the 3 axis motion sensor gyroscope allows you to track the movement of the head or arm and replicate it to servos. For Do It Yourself (DIY) home project lover who dreams of doing a head tracking system FPV themselves cheaply. 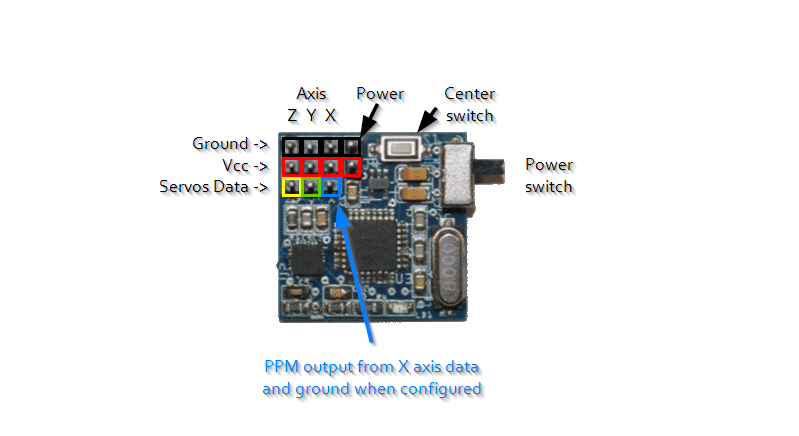 This system has been specially designed for DIY in electronics or robotics for students to explore electronics or who want their own system, but are less comfortable with advanced programming of accelerometers. You can use one or more axes (X, Y, Z) independently. According to your needs. 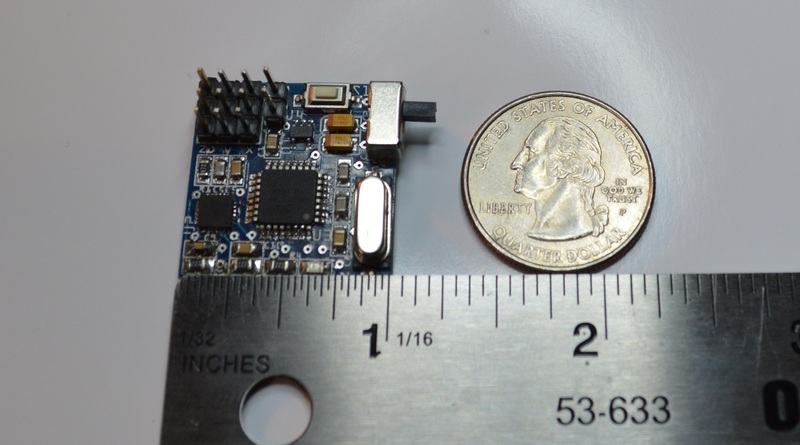 Iota V2 - So small! This version measures only 1 inch by 1 inch (2.5 cm x 2.5 cm) and weighs only 4 grams!